Q: What is keratosis pilaris? Keratosis pilaris is a common skin condition that causes hard bumps, small in size, that make the skin feel like sandpaper. It usually appears on the arms, thighs, buttocks and cheeks. The bumps are usually white but can sometimes be red. Q: Who can get keratosis pilaris? It is caused by a build-up of keratin, a protein that protects the skin. 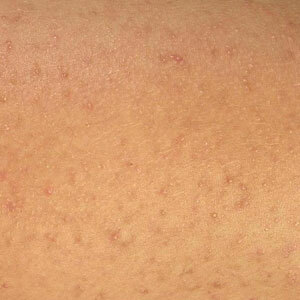 People with dry skin are prone to get keratosis pilaris, but everyone can be a victim. It has absolutely no health risks. It is harmless and usually goes away by itself. The only problem is you will experience itching. It cannot be prevented, but you can keep the skin moist to lessen its effects. If you choose to treat it, there are options such as laser treatment or the use of topical exfoliants. 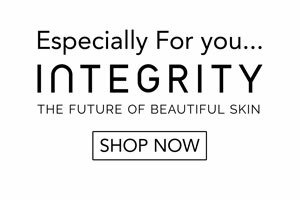 If you choose to treat the condition, you should see your skin practitioner for advice.